Very elongated Staurolite crystals with dodecahedral Almandine crystals all on a leafy Muscovite matrix. 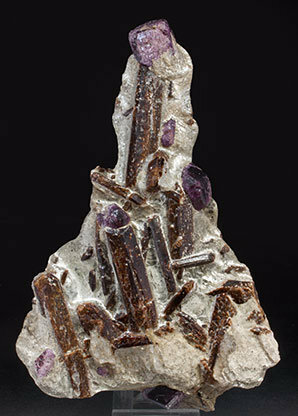 The crystals are untwined, which is very unusual, and are very bright with a very deep brown color. Among the best from the locality.